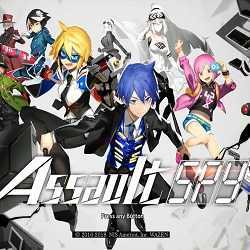 Assault Spy is an Action game for PC published by NIS America, Inc. in 2018. Play with each unique characters, and a story that intertwines with each other! Play through the game as the professional, yet hapless spy, Asaru; or the rowdy and reckless CIA agent, Amelia!